*With approved credit. Estimated monthly payment based on $3,539 down, 72 months at 5.9% APR. Description Limited Warranty extends the powertrain coverage to 7 years*/100,000 total odometer miles (whichever occurs first). * * * * * OEM CERTIFIED * * * * * VALUE PRICED,ONE OWNER, CERTIFIED WARRANTY, BACK-UP CAMERA, ALL WHEEL DRIVE, BLUETOOTH, MP3 Player, NO ACCIDENTS on CARFAX, 11 SERVICE RECORDS FOUND ON CARFAX, KEYLESS ENTRY, 31 MPG Highway, . CARFAX REPORT SHOWS 1 OWNERS and 11 SERVICE RECORDS. Thanks to an extensive used-car warranty, every Honda Certified Pre-Owned Vehicle comes with peace of mind. It covers major engine and transmission components, except for standard maintenance items, body glass and interior. Honda will repair or replace any covered part that is defective in material or workmanship under normal use. *See dealer for details. 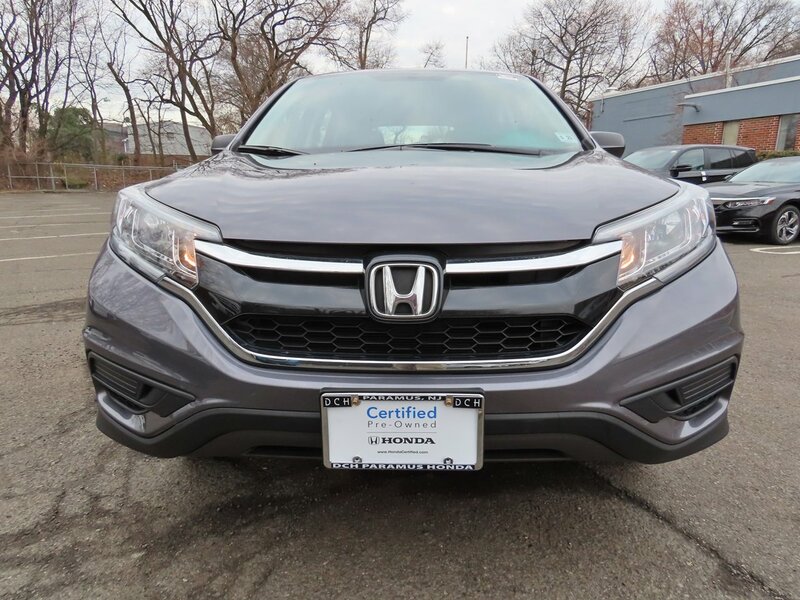 DCH Paramus Honda proudly services the northern New Jersey and Tri State areas, we can handle all of your Used Car needs.